Dr. Soteres is a board-certified allergy/immunology physician with offices in Colorado Springs and Pueblo. He has been in private practice at Asthma and Allergy Associates and Research Center since 2005. He is a Clinical Professor on faculty at the University of Colorado Health Sciences Center in Denver. 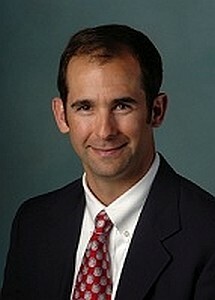 He is currently the Secretary/Treasurer of the Colorado Allergy Asthma Society. His interests in the medical field range from the joy of clinical practice and taking care of patients to the challenges and academic rigor associated with research. He also believes in the importance of community service and he has many volunteer commitments. Dr. Soteres received his Medical Degree in 1998 from Tulane University School of Medicine in New Orleans while simultaneously earning a Master’s degree in Public Health. He completed a four-year combined residency in Internal Medicine and Pediatrics and was a chief resident in Internal Medicine. After completing his allergy and immunology fellowship at Tulane, Dr. Soteres became board-certified in Allergy and Immunology. In the clinic he takes care of adults and children. He helps diagnose and treat asthma, exercise-induced asthma and other respiratory problems, environmental and food allergies, skin disorders, and immunologic diseases. He enjoys helping people with the ordinary as well as rare and complicated diseases. His clinic has become a good place for people who have not been able to find answers at other offices. Research has always been an interest for him. He has been a primary investigator for studies of asthma, allergy and Hereditary Angioedema. He has also studied treatments for COPD and migraine and participates in many national Advisory Boards. Dr. Soteres’ volunteer accomplishments include: founding a support group for families of kids with severe food allergy called MOSAIC (Mothers of Severely Allergic Infants and Children), organizing a local journal club for allergy doctors in the region, mentoring medical and physician assistant students, and participating in the D20 physician advisory board. He also volunteers in his children’s classrooms and he is a boy scout leader and assistant soccer coach.